There are many easy ways to earn extra cash from home nowadays. 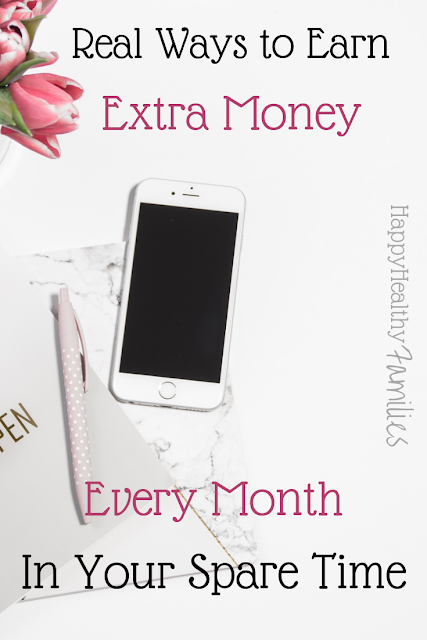 Whether you already have a full-time job or are a busy stay at home mom, it is definitely possible to make extra money working from home in your spare time. 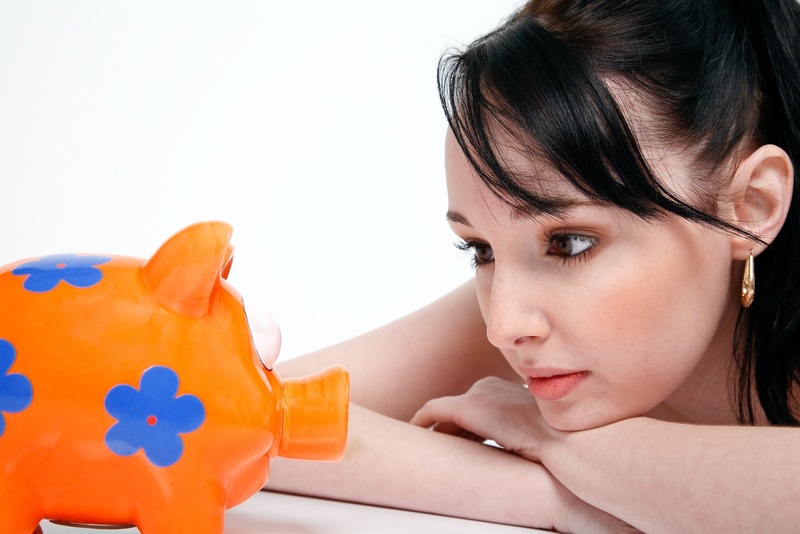 If you could make a little extra cash each month, would you use it to help pay off debt or build up a savings account? Then you should definitely consider doing some of these easy side hustles and online jobs from home. After all, corny as it may sound, every little bit helps! There are free easy to use phone apps that make earning extra money a breeze! I promise, once you start using them, you will wish you had started sooner. And if you have already signed up with some of these sites, but have not gotten around to actually using any of the apps to make money yet, start now! Really, just take that first step, and you won't look back. Earn quick cash with Decluttr selling stuff you no longer use like DVDs, CDs, games, and books. You can even sell Legos on Decluttr! Plus they will give you an instant price for the items you want to sell, and even send you a free shipping label. It is free to use Decluttr, and earn some extra cash, so why not give it a try? If you are interested in online jobs that pay through Paypal, give EasyShift a try! Download their free app to your phone, and you can make extra cash quickly. Basically, you get paid to do secret shopping tasks. These can include things like taking pictures of products, checking prices, and review promotions. Payments are made via PayPal, and your money is usually available within 48 hours after you have completed a job. There are no applications to fill out or experience needed to do these jobs. Once you download the EasyShift App to your phone, you can get started making money right away. Sign up with Wag using your smartphone, and get paid to walk dogs. You may not make money this week, but if you apply today, you will be on your way to earning extra money in your free time! As a WAG dog walker, you are free to set your own schedule and make money walking dogs in your spare time. With the Ibotta app, you can earn cash back every time you shop! All you do is select offers on Ibotta before you shop. Then send in a picture of your receipt to Ibotta, and your cash back will be deposited into your Ibotta account within 48 hours. If you use my referral code to sign up with Ibotta, you will earn $10 as a welcome bonus! You can earn cash back rewards using the Ebates app on your phone or on the Ebates website. You can also get cashback rewards when you shop at a store using Ebate's In-Store Cash Back program. You are going to shop anyway, so why not make some money doing it?? Sign Up at Ebates and get paid to shop! It is easy to sell your gently used clothes using Vinted. It is totally free to sell online with Vinted, so if you have clothes your kids have outgrown or clothes in your closet that you don't wear anymore, sell them and make some cash! You can start making extra cash fast using Gigwalk. Just download the app for free, complete your Gigwalk signup, and start checking for gigs that businesses in your own neighborhood have posted. As soon as you complete a gig (which are usually small tasks that take about 15-20 minutes to complete) you will submit your work through the Gigwalk app. Once a job is finished and approved, your money will be deposited into your Paypal account. Get started making extra money today with Gigwalk! This is definitely not a way to replace an income or pay your mortgage. But with that being said, taking surveys to make extra money while kicking back watching TV at night is not so terrible either! Make sure you sign up with legitimate survey sites. And consider signing up with several sites so you increase your chances of getting surveys each month. Panel Place is a great site to start earning extra cash taking surveys. It is simple, reliable and free to join. Sign up with PanelPlace.com now. SurveySavvy is another well-known legitimate survey site you can join right away for free and start making extra money quickly. Sign up and start earning money by doing small jobs posted on Task Rabbit. Learn how to sign up as a photographer with Twenty20 today. Like paid surveys, doing data entry online to earn money is okay if you are looking to save a little extra money from home from your couch (or bed.) Usually, all you need to sign up for data entry work is a computer and the Internet. No experience is really needed, and you can do these jobs while sitting in bed. You can take daily surveys, play games, watch short videos, get paid to surf the web, and more at Swagbucks. You earn SB points for every task you complete and you can redeem your points for cash via PayPal or use them to get gift cards to popular retailers, including Amazon. You earn $5 just for signing up using my link, so get going! Seriously, this is a favorite money maker out there, so get in on the fun! If you love music, why not make a little money while listening to some? Head over to Slice The Pie where you can sign up to review music online. Give your review, and get paid.